In the distant 2006 export of goods from Ukraine and Vietnam almost coincided and amounted to about 38 billion dollars. But after that not only the years passed, but also many different events took place. In 2015, without Maidan and hysteria, Vietnam signed an agreement on the establishment of a free trade zone with the EU, which is in fact similar to the agreement that Ukraine signed in 2014 under the Association Agreement with the EU. At the same time, Vietnam signed agreements on the establishment of a free trade zone with the EAEU. Sly and clever. It is always more profitable to trade with different countries than to engage in pseudo-reforms and dream of a great future. Most likely, our patriots will consider unpatriotic, that foreign companies invest money in Ukraine and open new factories and production. It is more interesting to tell tales and myths about 750 billion dollars, which mythical investors want to invest in Ukraine. In reality, real investors, as a rule, are greedy but also practical. In many respects, the growth of Vietnam's exports is the merit of foreign investors. 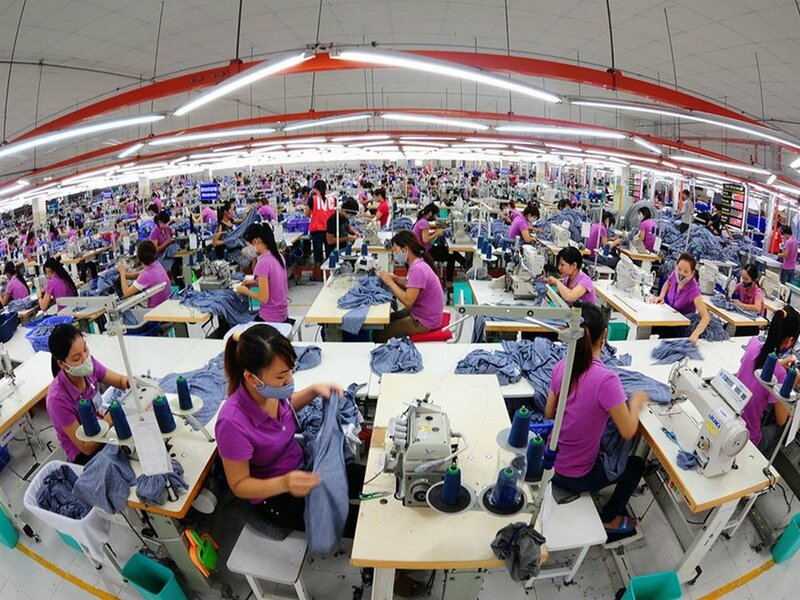 To date, the total amount of foreign investment that has been made to the economy of Vietnam is about 295 billion dollars. In Ukraine, this figure is 39 billion dollars. It is easy to guess that the majority of investors who invested money in Vietnam are investors from South Korea, Japan, Singapore, Hong Kong. First of all, it is investment in the electronic industry. At the moment, there is a lot of electronics in Ukraine, which is made in Vietnam. In some cases, this is an assembly, while in others it is the production of individual components. Not surprisingly, the export of Vietnam's high-tech products is about 39 billion dollars, while the export of Ukrainian high-tech products is only 1.4 billion dollars. There is also a share of food exports. In the Ukrainian export, the share of food is about 40%, in the export of Vietnam - only 13%. The agreement on a free trade zone with the EU is really a smart tool for investing in Ukraine when our country could produce not only grain but also smartphones. But this requires only one thing that all investors want - stability and clear rules of the game. Investors are not afraid of high taxes or corruption. It's not a problem. The problem is when it is not clear, "with whom to negotiate and whom to give". The trouble with our economy is, first of all, chaos. When the tax legislation is constantly changing, infinitely reforms are being held, the ministers and the head of the government are engaged in politicking and PR, not the economy. And it is difficult to expect from real investors to invest money in Ukraine if they read in the news media that Ukraine has decided to block the railway communication with Russia and boasts of it. The economy does not like political games, it loves only the stability that Ukraine lacks so much. We can recall times when foreign investors actively gave money to Ukraine. These are the periods from 1996 to 1998, from 2002 to 2008 and more or less from 2010 to 2012. But after 2013 foreign investors just do not want to deal with our country. Here the problem is not even in the IMF or the fight against corruption or the ease of doing business. For investors, all these slogans and ratings are of little interest. It is much more interesting to understand what will happen tomorrow, and whether it will not turn out that after the next presidential or parliamentary elections, they will be forced to get out from their enterprise, because there is such a desire among the authorities. Ukraine's capabilities are really big, and it's not a joke. Ukraine is close to the EU, and it would be possible to create a large number of enterprises and industries in Ukraine as part of production cooperation with the EU, China and even Vietnam. In this case, there would be no need for Ukrainians to leave for work in the EU, because a similar work would be in Ukraine for the same salary. Moreover, the world economy does not stand still, but really develops. And if Ukraine is maybe an improper place for manufacturing of smart phones, then the production of components for transport engineering from cars to airplanes is a very real business that will be beneficial to both Ukraine and the EU. There are many new world industries, from IT services to logistics, which Ukraine can jointly develop with the EU, China, Russia and other countries. There are economic opportunities for this, but there is no political will. And now, at the next presidential election in Ukraine, we are again offered to change Poroshenko to Tymoshenko, instead of creating normal conditions for business development, so that Ukraine has jobs, wages, export earnings, and not just slogans about the European vector.